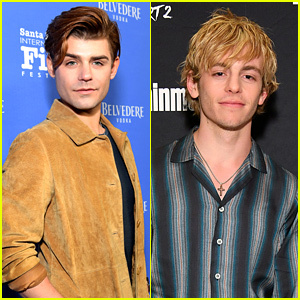 John Stamos Photos, News, and Videos | Just Jared Jr.
Nick Jonas has made his next move in his hilarious trolling war with John Stamos. The singer shared a new photo to Instagram on Monday (March 11), addressing his former Scream Queens castmate. If you haven’t been following, it started when John put his love for the Jonas Brothers on display by sporting one of their band t-shirts at the 2018 American Music Awards. A few months later, Nick was spotted wearing a t-shirt featuring John wearing a Jonas Brothers t-shirt. 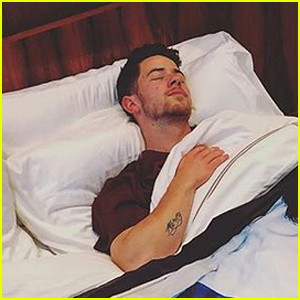 Then, John posted a photo of himself sleeping with a pillowcase that had a photo of Nick wearing a shirt with his face on it. “I’ll sleep well tonight knowing #sucker is number 1!” Nick then captioned the pic below, in which he is sleeping with a blanket that shows John sleeping with the pillowcase! Olivia Jade and David Dobrik team up to quiz Olivia‘s mom Lori Loughlin and John Stamos on some of 2018′s popular slang terms! The vloggers and the former Full House stars got together for the video posted on Olivia‘s YouTube channel on Saturday (December 22). Plus, check out a cute Christmas photo that Olivia shared of the group here. Shay Mitchell's New Show 'You' Is Already Renewed for Season 2! Shay Mitchell is joined by the cast of her new show You while speaking to the press at a panel on Thursday (July 26) in Los Angeles. 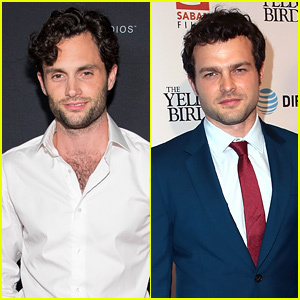 The 31-year-old former Pretty Little Liars actress was joined by her co-stars Penn Badgley, Elizabeth Lail, and John Stamos while opening up about the upcoming show. The series doesn’t premiere until September 9, but Lifetime has already confirmed that a second season has been ordered. You, which also stars Kathryn Gallagher and Hari Nef, will air as a Netflix original outside of the United States. Shay Mitchell Promotes 'You' at Upfront Event with Elizabeth Lail! Shay Mitchell will make her return to television later this year in a new Lifetime series called You and she’s already promoting the show! The 30-year-old former Pretty Little Liars actress was joined by co-stars Elizabeth Lail, Penn Badgley, and John Stamos at the 2018 A+E Networks Upfront on Thursday (March 15) in New York City. You, set to premiere on September 9, is a 21st century love story that asks, “What would you do for love?” When a brilliant bookstore manager crosses paths with an aspiring writer, his answer becomes clear: anything. Using the internet and social media as his tools to gather the most intimate of details and get close to her, a charming and awkward crush quickly becomes obsession as he quietly and strategically removes every obstacle – and person – in his way. The show is the latest series from Greg Berlanti! 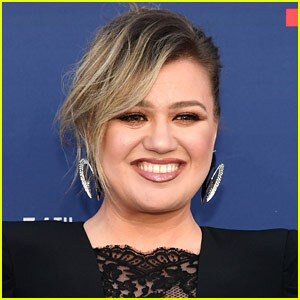 The album also has a song honoring her late boyfriend Cory Monteith called “Hey You,” which she decided to record because she felt it was “really about joy and love” more than sadness and loss. Many of her famous friends are so, so proud of the starlet. PHOTOS: Check out the latest pics of Lea Michele. We can’t wait to listen, Lea! You can buy her new record, Places, here.